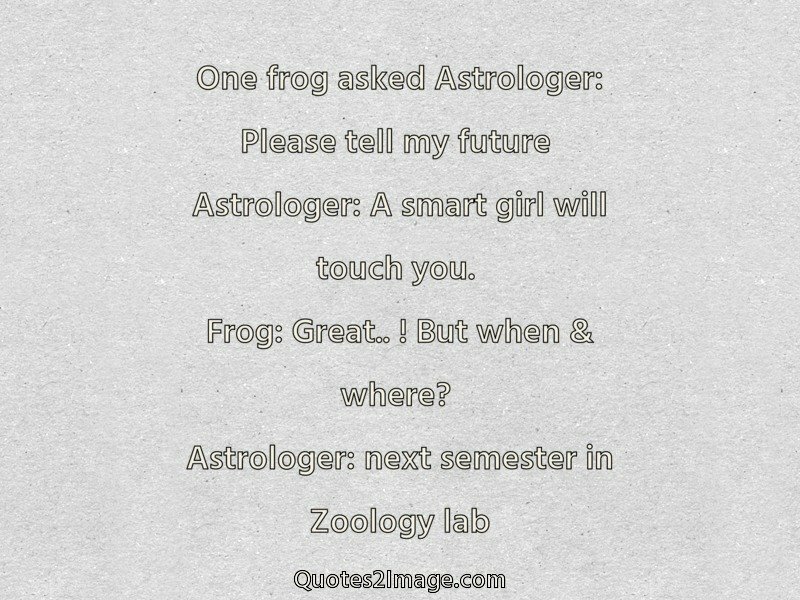 Astrologer: A smart girl will touch you. 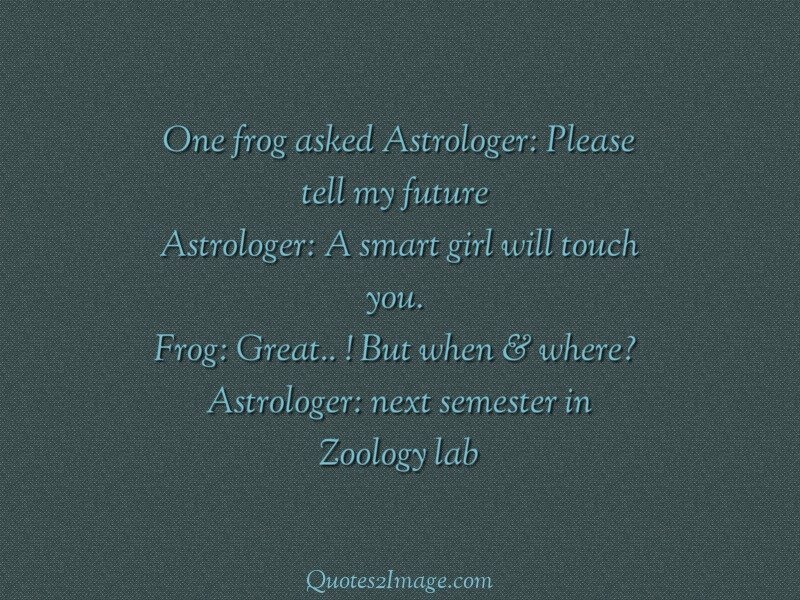 Frog: Great.. ! 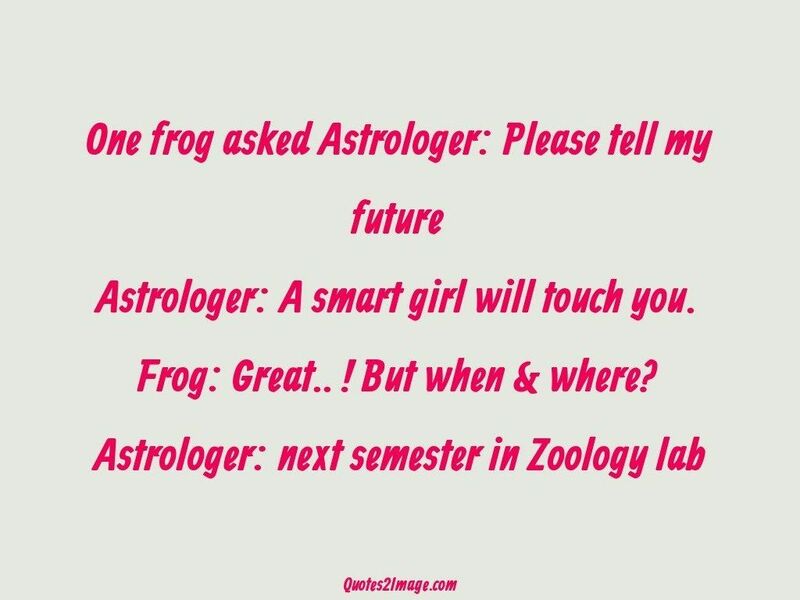 But when & where?